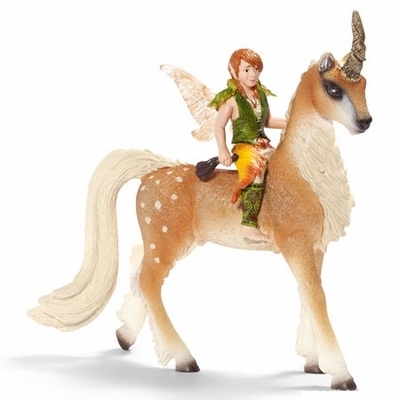 Schleich 70461 - Few and far between are the elves who have ever caught a glimpse of these extremely shy animals. And only two elves are allowed to ride such a forest unicorn. The two siblings ride across the wondrous blossom forests of Bayala.